Spain’s only minister from the Canaries set the ball rolling for the end of year general elections with glowing praise of the national government’s track record, although he admitted that not all the positive effects have filtered through to everyone. 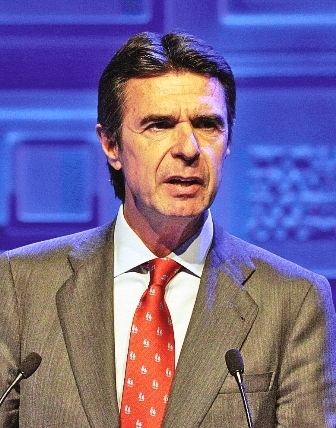 13.10.2015 - José Manuel Soria, the industry, energy and tourism minister for the last four years and a key figure in the cabinet of Spanish PM Mariano Rajoy, opened a regional conference that effectively launched his Popular Party’s campaign for the elections, which are due to be held in December. Soria urged the public to remember that “the light is at the end of the tunnel” thanks to the PP’s measures to right the economy, but he acknowledged that not everyone has shared in the upturn in fortunes. “Things are definitely getting better and there are clear signs of a recovery, even if it is not reaching everybody in the Canaries just yet” admitted the minister, who is not the most popular figure in the islands due to his fierce support for plans to drill for oil in the waters off the Canaries.